Paperback, 6.5 x 9.5 in. / 96 pgs / 117 images. This publication highlights the era between 1948 and 1970 as a turning pont for Swiss graphic artists, especially those stationed in Milan, as well as other great moments in design history. 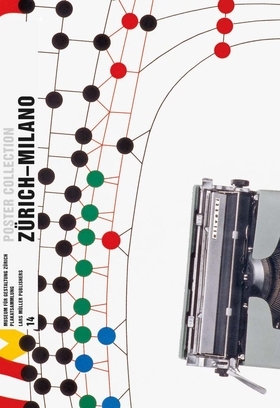 Equipped with an education that was not available in Italy at the time, Swiss graphic artists had an optimistic and undogmatic attitude that was inspiring and new. Italy's path to highly acclaimed visual communication was marked by a profound transalpine dialogue and Milan's reputation as a city for which it was worth leaving behind one's homeland. This publication brings together two icons of poster history, Max Huber and Walter Ballmer. FORMAT: Pbk, 6.5 x 9.5 in. / 96 pgs / 117 images.